Find hotel near Iglesia De La Tercera Ord .. Completed in 1735, this used to be part of a larger religious complex that also included the church of San Francisco (which is now the defunct theatre) and the cloister. The great military engineer don Juan Bautista MacEvan is buried at this church, as are others who worked in his profession. 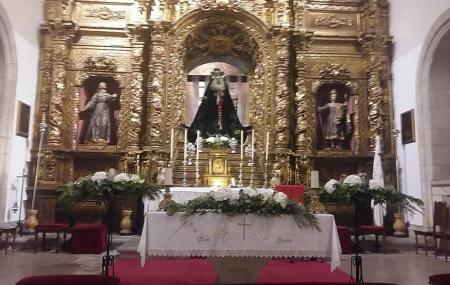 Historically, this was the seat of the Cofradía de la Virgen de los Dolores. It’s a striking and yet simple looking church, with white walls and a red tiled roof. On the outside, check out the carillon. Inside, see the Baroque headstone. It’s one of those overlooked gems of Cartagena, and it definitely deserves a visit. The opening hours given here are similar to those of other churches in the city but may not be reliable. Confirm opening hours with the attraction before your visit.